The music and music production is a flashy and alluring business. All the swag, parties, record releases and celebrities — it's no wonder why so many people want to try to break into the business. Some people may not want the limelight of being a pop star, so they may turn their efforts to start out their own record label. Independent labels have a long history in the business, going to back to the post-war era. While many have failed, others have thrived — some have even been bought out by the major three labels, Universal, Sony and Warner. Have you ever thought about getting into the record label business? Starting your own record label — whether for fun or in the hopes of turning into a real, live business — is a lot of hard work. Before you make the leap, find out what you're getting into and what you should have in place so you can make a good go of it. Here are a few things you may need to consider before you start planning that first release. Sure, you're doing this for love, not money, right? Unfortunately, everyone you're going to need to work with to start your label may not be so giving. There are a lot of costs to consider, from pressing albums to promotion and paying out royalties. But if you're willing to start out really small, there is one positive. The cost of opening up and running an independent record label has gone down considerably within the last two decades — thanks, in part, to the digital music industry. According to Profitableventure.com, it isn't as costly to run an indie label in the U.S., Canada, Australia or the United Kingdom. You can actually start out a small record label with as little as $20,000 to $50,000 in capital. This can cover the cost of your equipment (mixers, microphones, amps, cables, computers), licensing and business registration. You may also be able to set aside some money out of this budget for promotion, although it may be low-scale. More on that a little later. But don't forget, this isn't a hard and fast rule. The best thing to do is research. and figure out a realistic budget for your goals. And most importantly — like any other business venture, be prepared not to see a return for a very long time. Make sure you have talent you can sign on to your label. There's nothing like being ready to go into business and not have anyone to sign and promote. Some labels just start out with one artist. So if you have someone in your family or network of friends who isn't getting noticed by a major label, step in! You can both help each other out — you by getting their music out to the world, and they can help by getting your label some traction in the music world. Knowing someone you can start out with can help both of you work out the kinks of the industry, and can help you add more artists to your roster. After all, if you do a great job with your first artist, others will be more likely to sign on with you. Keep in mind, though, that some bands really "get it" and are happy to grow with you and the label because they know how much time and money you're dedicating to get their music heard. But some bands really don't understand how it works. So when you're just getting started, skip the prima donnas. Also, take the time to work out the financial stuff before the relationship begins. If cash does start coming in, misunderstandings can blossom with ease and you don't need that kind of stress. It's a pain personally and for the label. If you want to make some of that money you invested into your record label back, you need some way to get your releases into the hands of music fans. The best way to possibly get yourself out there is through digital channels. Since there's no cost of having to produce any music physically, you can easily upload albums and singles produced by your label once you've hit export on the editing machine. All it takes is producing a digital copy, and putting it on a streaming service like iTunes or Spotify. In some cases, the services won't even charge so it's free. Check out your preferred streamer's terms of service to get more information. 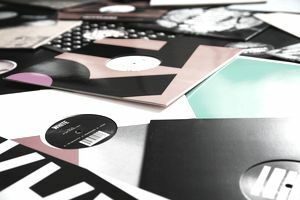 If you really want to sell physical copies of your label's music, you may want to try hitting up some of the indie record stores in your community. These places tend to carry local artists and may help you get your label noticed, too. You may even ask if they'd be willing to do a record signing or a public event with your band(s) to drum up interest. But if you do have stars in your eyes and want to go the traditional route of getting an actual distributor, know it may only come after a lot of hard work. At least until selling a lot of music. Most distributors of physical music (records, CDs) may not want to work with start-up labels. They're looking for labels with proven track records and with a release schedule that will give them a steady supply of new records to sell. Just like you need to give people some way to buy your albums, you need to let them know they exist in the first place. To do that, you have to promote. When you're just getting started, promotion can be a real uphill battle — it takes time to build up the contacts you need so you can relax knowing when you put out a record, someone is going to talk about it. If you don't do your promotion in-house, it can get extremely expensive, and there's no guaranteed payoff. Promotion is a necessity, but it's hard work, and be prepared for a huge learning curve. But with the advent of social media, there isn't as much pressure as there was in previous years. And you can definitely reach a wider audience with the right strategy. If you already have a big network, create a website and social media profiles on Facebook, Twitter and Instagram, and get everyone to share. Keep on top of your promotion through photos, videos, audio clips, regular posts and events. If you can do this yourself (or convince friends and family to help you out), it may just cost you time. If you can't handle it, there are consultants and companies that will manage your social media profiles for you for a cost. If you can afford it, why not leave take that stress away from yourself? When you're running an indie label, you have to do the jobs many different people at big labels end up doing. So basically, you're a jack-of-all. When you're running an indie label, you may act as manager, promoter, agent, video director, graphic designer, PR officer, radio plugger, A&R, accountant, lawyer, distributor, webmaster, travel agent, secretary and maker of tea/coffee and snacks. And that's just for starters. If only you got paid for doing all of those jobs! You must be able to juggle several tasks at once and you must be self-motivated to keep it going, even when it's not so fun. You have to absolutely LOVE what you are doing. If you don't, you'll get tired of the hard work and ups and downs very quickly. This article began by emphasizing how expensive releasing records can be and will finish by stressing that point as well. But here's the thing— you can be creative and keep your costs down considerably. Do some in-house PR, do artwork by hand, don't spend money on cool but expensive vinyl and so on. You can, in fact, trump any of the challenges facing a small label like getting decent distribution, getting reviews with a little patience and creativity. Consider the rest of this article a reality check, not a "don't do it!" warning. Look before you leap, but if you like what you see, leap away. It CAN be done. How Much Does It Cost to Release an Album?